Saudi Arabian Airlines (Saudia) has received the highest level of certification for its digital merchandizing of the airline’s onboard product and features available to travel retailers. seats and layout on board. In addition, passengers can purchase additional services when available. With this new capability, Saudia will have the ability to provide Iata-accredited Travel Agencies a full view – displayed through rich media content – that includes fare family products and dynamic pricing as listed on www.saudia.com. Historically, the platform used by the travel retail industry aggregated text-based information with basic product facts about the onboard specifications. This meant that guests did not have a way to view the product and have a perspective of what it looks like prior boarding the aircraft. The New Distribution Capability (NDC) standard introduced by the International Air Transport Association (Iata), is an XML-based data transmission standard that was launched for the development and market adoption of a new standard for merchandizing airline products. Iata’s aim with the implementation of the NDC standard is to enhance the capability of communications between airlines and travel agents. The NDC Standard enables the travel industry to transform the way air products are retailed to corporations, leisure and business travelers. Saudia achieved the highest certification from Iata based on the full-scale functionality that travel retailers can now have access to, enabling them to offer guests the option to purchase wi-fi, additional baggage, bundling of air and non-air products, and seat selection during the point of sale. The certificate was awarded to Saudia during the 73rd IATA Annual General Meeting held in Cancun, Mexico from June 4-6. Saudi Arabian Airlines director general Engineer Saleh bin Nasser Al-Jasser received the award from Iata director general and CEO, Alexandre de Juniac. “We congratulate Saudia on becoming the latest airline in the MENA region to achieve NDC Level 3 Certification. With this milestone, SAUDIA joins the growing fold of global airlines that are transforming airline distribution and launching a new era of airline retailing in which travelers have access to all of an airline’s products and services, regardless of their choice of shopping channel,” said de Juniac. The airline partnered with the Iata Level 3 Certified Travel Aggregator – ‘TP Connects’ – which is connected with a large number of online travel agencies and B2B reseller travel agencies for end-to-end NDC deployment. 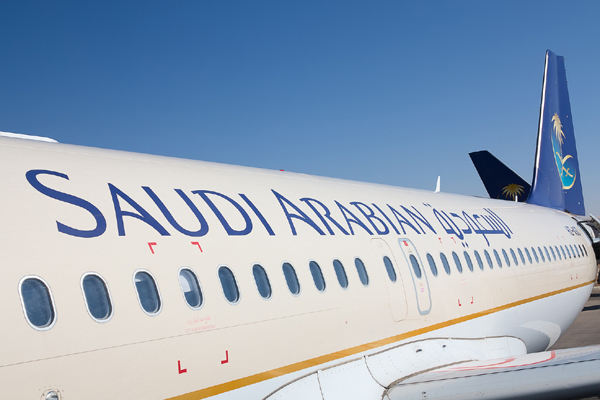 ‘TP Connects’ and Amadeus developed SAUDIA’s NDC platform and integrated it with the Saudia’s reservation system that is provided by Amadeus. Saudia operates to four continents, covering 86 destinations (27 domestic and 59 international) from its main hubs in Riyadh and Jeddah. The airline is currently revitalising its fleet and will have one of the youngest fleet in the world by the end of 2017, at an average of 3.75 average years.